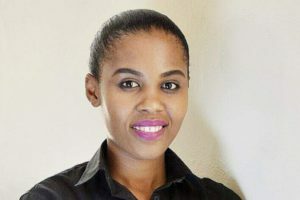 GABORONE – Connect Circle, a youth-owned company, will host the African Youth Entrepreneurship Summit on February 21, PML Daily has learnt. According to Botswana’s Monitor Business the one-day event will be held under the theme ‘Disruptive innovation in today’s versatile business jungle’, and graced by panelists from East Africa, Middle East Africa and Southern Africa. Five Ugandan youth entrepreneurs are expected to attend. The event is aimed at bringing together young African entrepreneurs under one roof to share their ideas and find ways of fostering partnerships. Speaking to Monitor Business, Lemogang Senwelo, the mastermind behind the meet, said through the event they seek to empower local entrepreneurs to grow beyond borders and penetrate the international market. “We want to see African youth working together, fostering partnerships whilst creating wealth in turn,” she said. To achieve this, Senwelo said they are rotating the countries that they host each year. This will also help them to continue learning about how their African counterparts operate their businesses.